The 2017 INFINITI QX70 luxury SUV delivers amazing performance and convenience features for the whole family. Red Noland INFINITI is excited to have this gently-used, feature-filled 2017 INFINITI QX70 in our inventory. Offered to our Red Noland customers for only $26,989, this capable luxury crossover is priced well below market value. 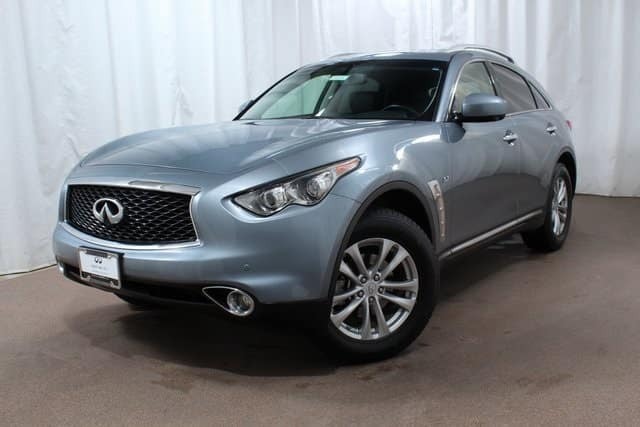 Join the vast league of INFINITI lovers with this CarFAX One-Owner pre-owned QX70 from Red Noland INFINITI in Colorado Springs! This super-clean 2017 INFINITI QX70 features a powerful 325-horsepower, 3.7-liter V6 engine, perfect for driving enthusiasts. The mileage on the engine is over 5,600 miles below market average. Paired with the robust V6 is an efficient 7-speed automatic transmission. One of the huge benefits included with this spacious SUV is the presence of an all-wheel drive system, providing excellent traction in winter driving conditions. The interior cabin of the INFINITI QX70 is nothing short of elegant. The driver and front passenger are greeted with plush heated Graphite leather bucket memory seats. The rear features the same luxurious leather with spacious seating for up to three people. A large power moonroof provides an open air feel to the entire cabin. Whether listening to your favorite rock band or relaxing classical music, you will love the sound quality of the 11-speaker Bose® premium audio system. Never get lost with the assistance of the INFINITI HD Navigation system with crystal-clear 3D graphics. This capable crossover also offers innovative features to keep your family safe on busy roadways, including a 360 Around View monitor with front and rear sonar system, Bi-Xenon high intensity headlights, dual front and side airbags, and electronic stability control. Don’t miss out on the amazing performance, capability, and premium features included on this incredible pre-owned 2017 INFINITI QX70. 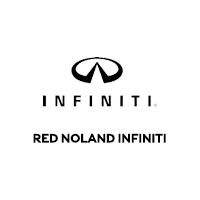 Make your way over to Red Noland INFINITI in Colorado Springs for an exciting test drive today!